OVR provides services to eligible individuals with disabilities, both directly and through a network of approved vendors. Services are provided on an individualized basis. The OVR counselor, during face-to-face interviews, assists customers in selecting their choice of vocational goals, services, and service providers. An Individualized Plan for Employment (IPE) is developed, outlining a vocational objective, services, providers, and responsibilities. Certain services are subject to a Financial Needs Test (FNT) and may require financial participation by the customer. Counseling and guidance, diagnostic services, assessments, information and referral, job development and placement, and personal services such as readers or sign language interpreters are provided at no cost to the individual. Also, by law OVR customers receiving Social Security benefits for their disability (SSI, SSDI) are exempt from OVR’s Financial Needs Test. 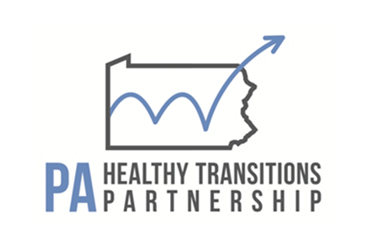 Statewide there are 21 District Offices staffed with trained, professional Vocational Rehabilitation Counselors which serve Pennsylvania in all 67 counties. The Hiram G. Andrews Center in Johnstown provides vocational training and comprehensive rehabilitation services to people from across the state. OVR’s Bureau of Blindness and Visual Services also provides specialized services to blind and visually impaired individuals. These services are designed to increase an individual’s independence and employability. OVR's central administrative offices in Harrisburg provide technical assistance to local district offices in order to improve service delivery. Vocational Evaluation: Aptitude, interest, general ability, academic exams, work tolerance, and "hands-on" job experience used to understand your vocational potential. Assistive Technology: Assistive technology includes a wide range of devices and services that can empower persons with disabilities to maximize employment, independence, and integration into society. OVR can assist an individual with a disability in effectively selecting and acquiring appropriate assistive technology. OVR can arrange for a consultant to evaluate your situation and to make appropriate recommendations. OVR also operates and maintains our own Center for Assistive and Rehabilitation Technology (CART) at the Hiram G. Andrews Center. There is no charge for evaluation and vocational counseling services through OVR. Based upon your financial needs, you may have to contribute to the cost of assistive technology devices and services. Home modifications, adaptive or special household equipment in order to help you get ready to go to and be on time for your job. Van or car modifications, including special driving devices or lifting devices to enable you to travel to your job. Job site modifications that will enable you to get and keep a job. Independent living training to provide the means for you to become more self-sufficient and thereby make it possible for you to participate in employment. Specialized services such as Rehabilitation Teaching, and Orientation and Mobility Training for persons who are blind or visually impaired. OVR will facilitate your rehabilitation program. Don’t hesitate to ask questions about anything. You are entitled to the best service that OVR can give you. Your comments, suggestions, and criticisms are important. If you are an applicant or a customer of OVR and are dissatisfied with a determination or service OVR is providing, you may file an appeal. An impartial hearing officer will be assigned to hear and decide your case. You will be given the opportunity for an informal administrative review prior to the impartial hearing. At any time during your program, you may contact the Client Assistance Program for help. The Office of Vocational Rehabilitation provides individualized services to assist people with disabilities to pursue, obtain, and maintain satisfactory employment. An OVR counselor can help you select an employment goal and develop a comprehensive strategy so that you can find the type of job that meets your needs. OVR placement services are provided at no cost to eligible individuals with disabilities. An OVR Counselor can assist you in planning your job search. You will receive ideas, practice, and advice on finding job leads, filling out job applications, getting interviews for a job, and how to interview for a job. Your counselor may also give you job leads or contact employers to explain available tax credits and other hiring incentives. The more contacts with employers you make, the better your chances are of finding a job. Your Counselor can help you explore employment trends, your capabilities, and possible job accommodations, so that you are better prepared to make informed vocational decisions and effectively look for a job. You have a disability that is, a physical, mental, or emotional impairment which results in a substantial impediment to employment, and you can benefit in terms of an employment outcome from services provided, and, Vocational Rehabilitation services are required for you to prepare for, enter, engage in, or retain gainful employment. The Pennsylvania Office of Vocational Rehabilitation provides Assistive Technology devices and services to eligible individuals with disabilities if needed to get or keep a job. Assistive Technology devices include any item, piece of equipment, or product system that is used to increase, maintain or improve the functional capabilities of an individual with a disability. LOW-END TECHNOLOGY...reachers, canes, bending straws, rubber grippers, jigs, wrist rests, etc.. HIGH-END TECHNOLOGY...communication devices, specialized computer access, customized mobility aids, workstation designs, etc.. 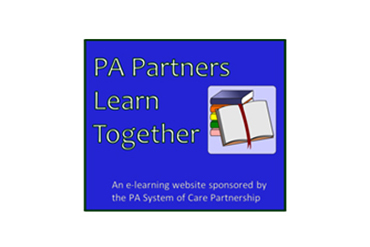 There are many information resources and providers of Assistive Technology devices and services in Pennsylvania. OVR can help consumers connect with these resources.